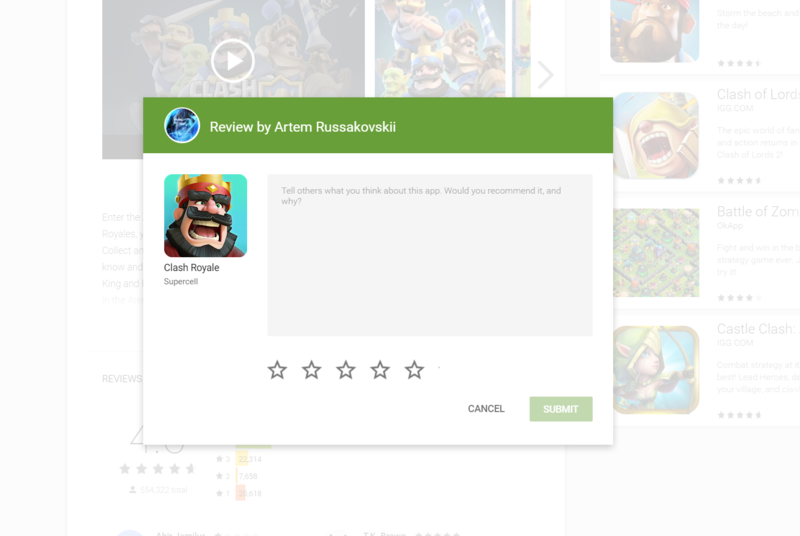 According to several tips from Android Police readers, the Google Play Store may not require you to have a Google+ account to write reviews anymore. This news comes hot on the heels of reports that the +1 button is disappearing from the Play Store (which Artem is still devastated about, by the way). In fact, the two situations are very likely related. This is a change that will undoubtedly be appreciated by many. Although many Android Police users have warmed to Google+, a huge amount of people (and a few AP readers in the comments section) still despise it. In my experience, Google+ is only really being used by techies, Google employees, preteens, and people with niche interests. Our tips report that after Google removed the +1 button, posting reviews on the Play Store went without a hitch. It should be noted that both readers tried this out after reports of the +1 button being removed went live. In both cases, the readers have Google accounts that aren't connected to Google's divisive social network and were able to write one or more reviews. Google has been trying to move away from Google+ for a while now. In July of last year, it began to disconnect Google+ from YouTube's comments. This past February, it added Gamer IDs to Play Games and removed the Google+ requirement. And, of course, there's the previously mentioned +1 button removal that still has Artem up in arms. If you don't have a Google+ account linked to your Gmail, let us know if you can write a review now.